Smartphones have evolved over the years in terms of imaging technology. Today there are smartphones which can challenge the likes of professional cameras, thanks to varying lenses, betters ISPs and technology. From single to dual, smartphones are now racing towards mainstream three cameras. The second lens became a proprietary feature in smartphones a couple of years back, and now it’s about a third lens. Companies and OEMs are jumping into the slowly growing trend of triple cameras. Today, we are getting into it to find out whether smartphones actually need an extra third sensor. Here are some of the best triple camera phones to check out if you're interested in taking peerless pictures with your smartphone. Triple cameras are markedly better at detecting depth of field (for 3D photographs), taking wide-angle shots, giving a better HDR experience, zooming more powerfully and shooting in low-light – so you have the advantage of DSLR-like images without the hassle of a clunky machine. Ahead, the best triple camera phones you can get to up your mobile photography game. These are the triple camera phones currently available in the market. Needless to say, this trend is going to continue fervently over the coming years and even the chipset companies are designing their new processors to include multiple camera modules. We will keep updating the list as relevant phones surface in the future. 2. Do Smartphones Need Three Cameras? There are smartphones which offer excellent results even with a single sensor. While some do the job quite well with two cameras. So why we need a third or even a fourth sensor? Pixel smartphones still come with a single sensor and depend on post-processing for better photographs. Are the additional sensor is more of a gimmick? Not actually. More sensors offer a smartphone to utilize more possibilities. Again, extra sensors don’t guarantee good pictures, if the post-processing technology is trash. With an additional sensor, a smartphone can use pixel binning to improve low-light performance with high-resolution sensors. Cameras can benefit from a switchable aperture. Aperture determines how much light will reach the sensor. More light helps to reduce noise and produce brighter pictures in the dark. While most of the second lens works as a telephoto sensor, helping to produce higher resolution pictures when cropped. Some companies use the second lens as a monochrome sensor, ideal for pixel binning to improve photography performance in low light. 3. So, More Sensors Help Improve Photography? Nope. If the post-processing and software are not worth it, additional sensors won’t help. 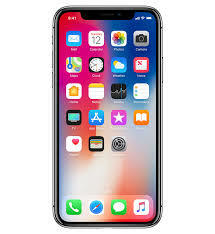 Take the example of Google Pixel devices or iPhone XR. These are some great single-lens smartphones depending upon software for better pictures. There is software which uses image combining techniques to produce high-quality pictures. Finally, the purpose of an additional lens came into existence for lossless zooming, wide-angle shots and portraits with added bokeh. From 2X to 3X to 5X to 10X zooming technology now from Oppo, there are smartphones which justify the use of an additional lens. Let’s check out some of the best three camera smartphones available in the market. There are triple camera smartphones starting at as low as Rs 14,999 to some high-end flagships ranging over half a lakh in the country. 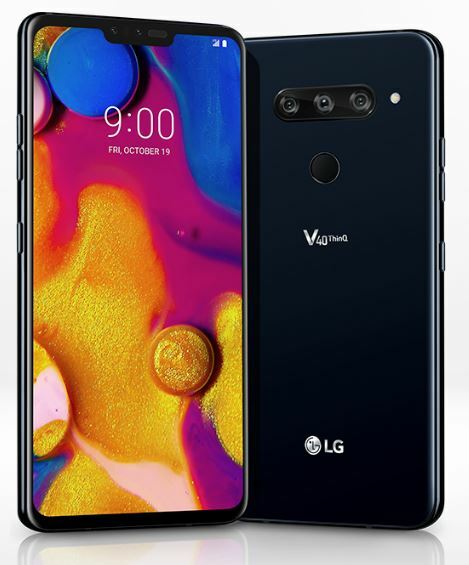 LG has also included a triple camera in its recent flagship device LG V40 ThinQ. Coming to the triple camera setup, the Primary rear camera is an f/1.5 aperture 12-megapixel sensor with 1.4μm size pixels that are 40 percent larger than the camera sensor used on G7. The second one is a Super-wide-angle f/1.9 aperture 16MP camera with 107-degree view field, and the third one is a 12MP f/2.4 aperture telephoto/portrait camera, which just adds depth to the pictures and helps give 2x zoom to the images. LG has also customized its software to make the best use of the troika of rear cameras. They have introduced a new “triple preview” feature which will show you a live preview from all three cameras at the same time, allowing you to quickly pick the right one for the shot you’re trying to capture without having to switch between them. 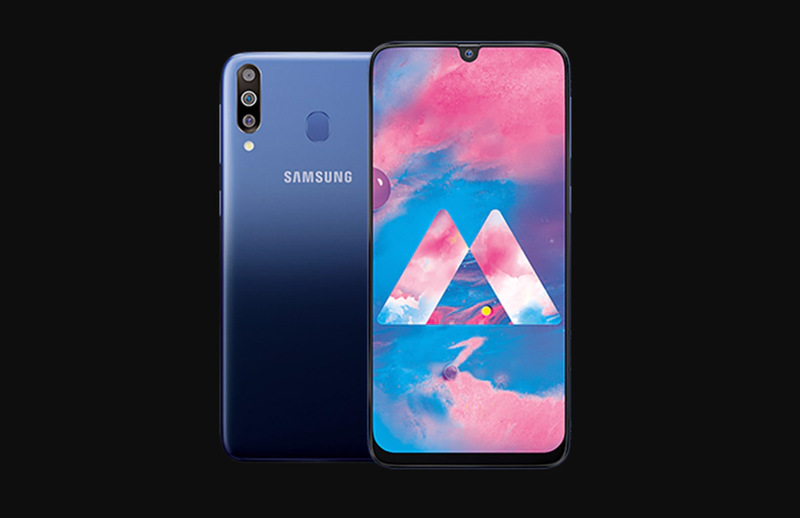 Starting with the newly launched Samsung Galaxy M30, it’s the cheapest triple camera smartphone currently available in the country starting at just Rs 14,990 for the base variant. 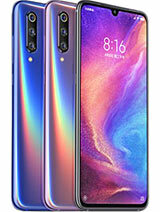 The smartphone features a rear triple camera system comprising of a 13MP primary camera, 5MP secondary ultra-wide sensor, and a third 5MP depth sensor. Up front, Galaxy M30 features a larger 16MP camera with rear videography at 1080p recording at 30FPS. Honor tried hitting two birds with one shot by creating a phone with a pure display by employing slider design and the second one being a triple rear camera module to enhance the photography experience. 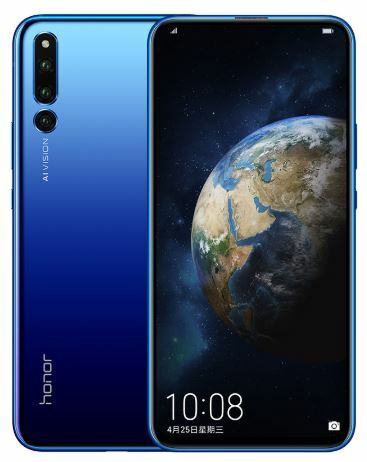 This Honor Magic 2 packs a triple camera on the back consisting of a 16 MP f/1.8 aperture PDAF primary sensor, a 16 MP, f/2.2 aperture wide-angle lens and a 24 MP f/1.8 aperture Monochrome lens. On the front as well, Honor has included a 16MP f/2.0 aperture selfie camera bolstered with two depth sensors of 2MP each. It sports a Full HD+ AMOLED display with 19.5:9 aspect ratio. This display also houses an in-display fingerprint sensor beneath it. Up next on the list we have another latest launch from Samsung, the Galaxy A50. The next three camera smartphone on the list is Samsung Galaxy A50 starting at Rs 19,990. The smartphone comes with three rear-cameras featuring a 25-megapixel sensor with f/1.7 aperture, secondary 5-megapixel with f/2.2 aperture and third 8-megapixel with f/2.2 aperture. The smartphone comes with Samsung’s Bixby AI vision with a 25-megapixel selfie camera upfront with f/2.0 aperture. The smartphone made its debut in the country a year back with triple cameras. Huawei P20 Pro features a 20MP monochrome lens with f/1.6 aperture, a secondary 40MP RGB sensor with f/1.8 aperture and a final third 8MP sensor with f/2.4 aperture offering Optical Image Stabilization (OIS) with 3X Zoom. Huawei created special software to offer a combined feed with the three sensors. It features a 4 way AF (Laser, Phase Detection, Contrast, AF) to create pictures depending on the color temperature sensor. Mi 9 is the flagship smartphone from Xiaomi which comes with a rear triple-camera setup. The company is yet to make its India debut. Though, you can order on any international site from China and with additional excise charges. Mi 9 features the main 48MP Sony IMX 586 sensor, secondary 12MP 2x telephoto lens and a third 16MP super-wide-angle lens with a 117-degree field of view. Xiaomi Mi 9 also features an autofocus system offering a mix of PDAF, laser, and contrast detection. Samsung seems will probably cover half of the list with its wide range of three camera smartphones. 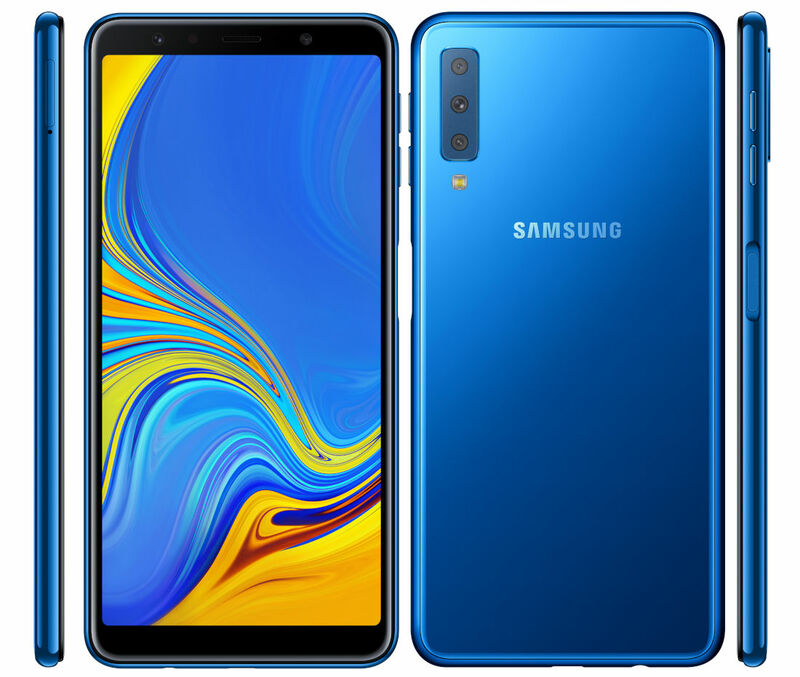 Samsung A7 (2018) was the first triple camera smartphone from Samsung. Samsung Galaxy A7 includes a primary 24MP sensor (f/1.7, PDAF) offering pixel binning, a 5MP sensor for depth sensing and a third 8MP sensor (f/2.4, 13mm) for wide angle shots. Samsung Galaxy A7 comes with ‘scene optimizer’ integrated into the camera app to help in recognizing scenes and adjust camera settings according to situations. 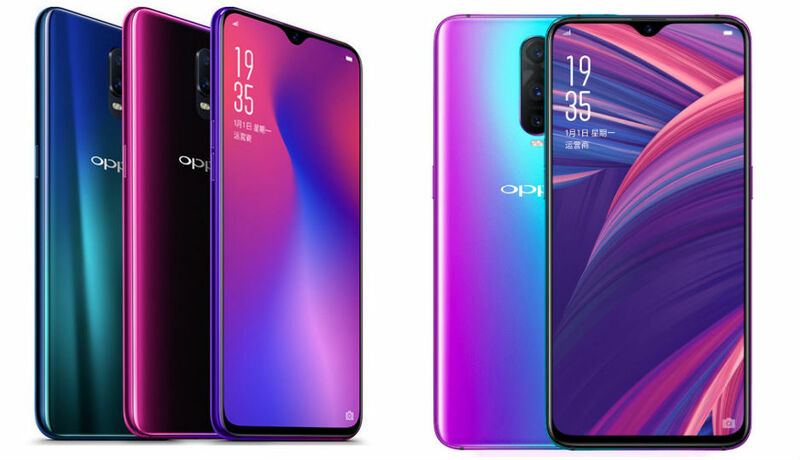 Oppo launched its tri-lensed R17 Pro in the country a few months back, the same smartphone which inspired OnePlus 6T with the latest design. Oppo R17 Pro comes with a triple-camera system at the back comprising of a 12MP sensor having a variable aperture f/1.5 to f/2.4 aperture, a secondary 20MP sensor with an f/2.6 aperture and a third TOF 3D lens. The TOF Time of Flight 3D lens helps you to capture depth using IR laser creating 3D photos. The newly launched Galaxy S10 smartphones, both Galaxy S10 and Galaxy S10 Plus feature a rear triple camera system with variable aperture technology. Galaxy S10 comprises of a triple-lens camera on back featuring a 12-megapixel regular lens, 12-megapixel optically zoomed telephoto lens and a new addition with the third 16-megapixel ultra-wide lens. Both the Galaxy S10 smartphones can capture some great shots in both well-lit and low lighting conditions. The recently launched Huawei Mate 20 Pro is one of best premium flagships available in the country at just Rs 69,990. The smartphone comes with a rear triple camera system powered by Leica optics. 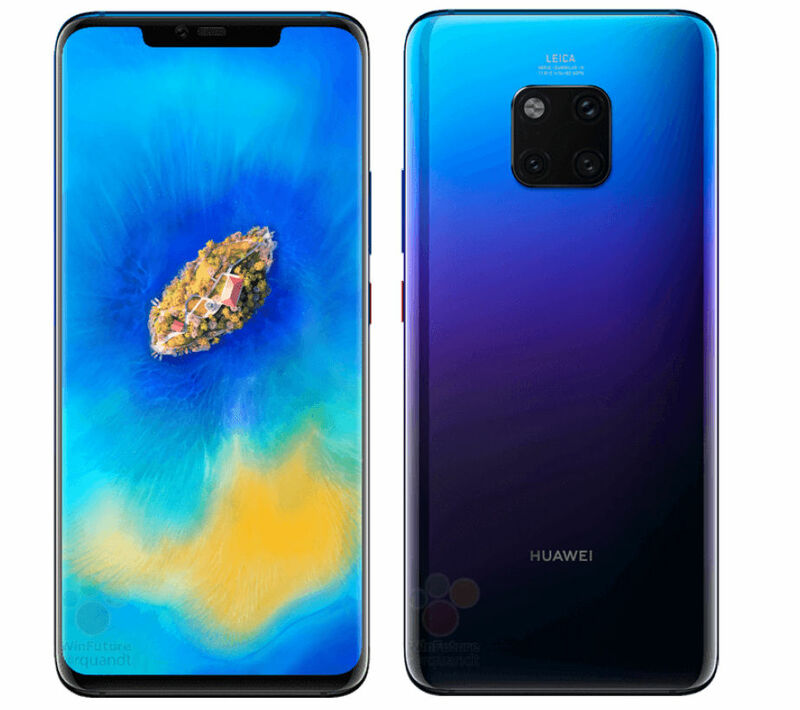 Huawei Mate 20 Pro also the first Android smartphone in the world to come with an SoC built on a 7nm process, the in-house Kirin 980 chipset from Huawei. 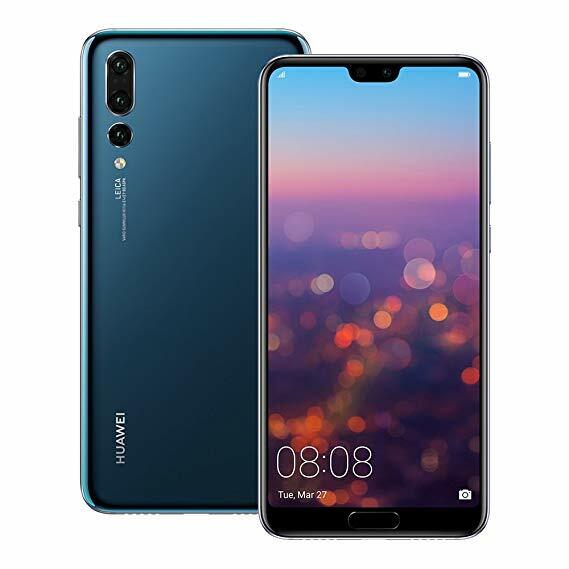 Huawei Mate 20 Pro features a primary 40MP primary sensor, 8MP secondary sensor and a third 20MP ultra wide-angle. What to expect: Very little is known about the new iPhones as very few leaks have appeared and Apple will only talk about it on the day they are launched. What to expect: The key highlight is expected to be improved display and Samsung’s own UI. Expected launch date: The Galaxy S10 Plus will arrive just before the Mobile World Congress in February. What to expect: Nokia 9 is rumoured to come equipped with as many five cameras at the back. Expected launch date: Nokia 9 mayl see the light of the day sometime in March. An upgrade of one of Xiaomi’s most powerful smartphone with better display and camera. What to expect: One of the first handset to support 5G technology. It’s still not known whether this will come first or the OnePlus 7. What to expect: As the name suggests, it will be a foldable phone. Expected launch date: Second half of 2019.